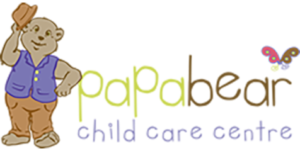 With the increasing demand of care for 0-2yr olds in the area, Con & Dora Savva opened Mama BearChildCare Centre in January 2009. 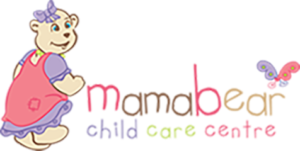 Mama Bear is our first centre which caters for babies and is licensed for 40 children per day, between the ages of 0yrs-5yrs. We are open 7.30am – 6pm approx. 50 weeks/year, closing at no charge to families over the Christmas/New Years period. Mama Bear also has a real warm home-like setting. From outside the building you would not think it was a child care centre, and that’s how we like it! Although many people ask, “what’s upstairs?” – it’s our storeroom and staffroom! Mama Bear is an air-conditioned building with security intercom for parental access. Mama Bear has worked very hard over many years to establish such strong and respectful relationships with our local feeder schools, to ensure our Pre-School Cubs receive the best preparation for their start at “Big School”. Our main feeder schools are Regina Coeli Catholic, McCallums Hill Public, All Saints Orthodox, Our Lady of Fatima, St Joseph’s Catholic and Clemton Park Public. 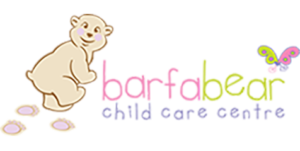 Annually we hold School Readiness Information Evenings collectively with Barfa & Mama Bear, with our feeder School Principals and Kindergarten faculty teachers always happy to discuss the best preparation for your child, always with highly impressive feedback from these schools of how well our program exceeds expectations and in particular in comparison to other local child care centres’ programs. Our Monday children enjoy FREE Mandarin Language lessons. CALL FOR A CENTRE TOUR NOW! A. 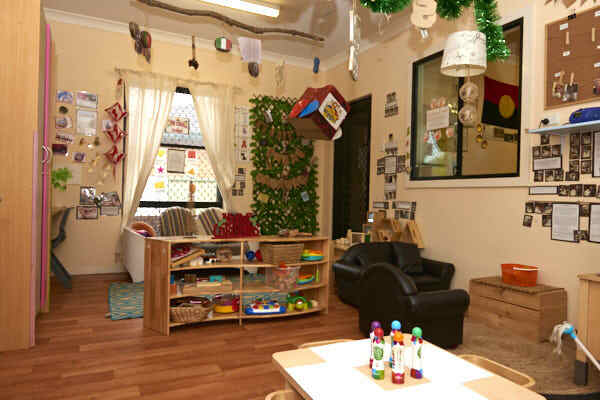 This Playroom is for 4yrs – 5yrs – children who are preparing for Big School. B. Most child care centres will combine the 3yrs – 5yrs. However, we have found from our experience that a Playroom specifically programmed for Pre-School Readiness, with children whom are appropriately aged, has proven highly successful in preparing our Pre-School Cubs for the reality of Big School. 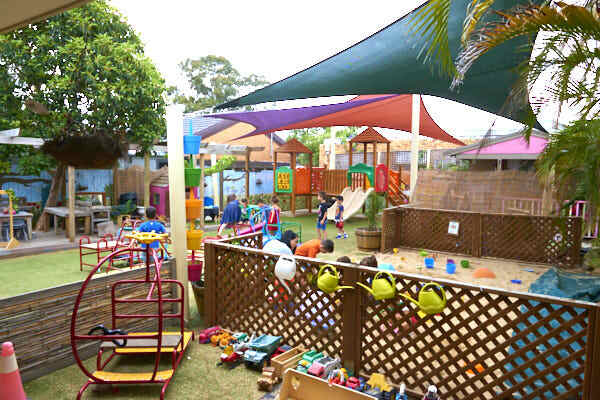 C. There will be on average 2-3 BearTeam Educators for this Playroom, being 2 qualified Educators (including min 1 Early Childhood Teacher ECT) , plus one Playroom Assistant who will hold either a Children Services Cert III or be studying a Children Services Cert III Traineeship. D. This Playroom will have a Playroom Leader who will supervise the operations of the Playroom environment and BearTeam, ensuring that the Playroom Daily Routine, and Policies & Procedures are adhered to, in addition to preparing their Weekly Interest-Based Program and Pre-School Readiness Program. E. Each Educator has their own group of focus children, so they can program, reflect and prepare opportunities based on your child’s interests and developmental needs, and assist in the implementation of the Pre-School Readiness Program. F. Playroom equipment is interest based and age-appropriate for the 4yrs – 5yrs age group. This is another benefit of separating the older children, 4yrs – 5yrs from the younger groups so that they may be challenged at a higher level. ~ This is a combined Playroom for 2yrs – 4yrs ages. ii Cubby Bears are 3yrs – 4yrs. ~ Whilst the Playroom is shared, each age group have their own Educators who prepare a Weekly Interest-Based Program tailored for their particular age group, ie; Teddy Bears or Cubby Bears. This Educator would be your first point of call regarding any specific queries you have concerning your child’s development, as they know your child best! 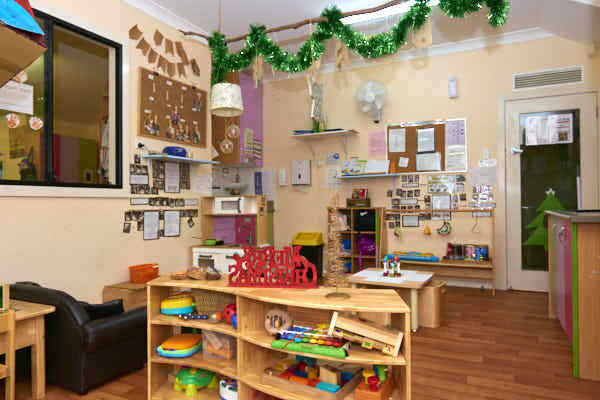 ~ There will be on average 3-4 BearTeam Educators for this Playroom, being 3 qualified Educators, plus one Playroom Assistant who will hold either a Children Services Cert III or be studying a Children Services Cert III Traineeship. ~ This Playroom will have a Playroom Leader who will supervise the operations of the Playroom environment and BearTeam, ensuring that the Playroom Daily Routine, and Policies & Procedures are adhered to, in addition to preparing their Weekly Interest-Based Program for either Teddy Bears or Cubby Bears. ~ Each Educator has their own group of focus children, so they can program, reflect and prepare opportunities based on your child’s interests and developmental needs. ~ Playroom equipment is interest based and age-appropriate for the 2yrs – 4yrs age group. ~ This Playroom is for the 0yrs – 2yrs ages. Their Educator prepares a Weekly Interest-Based Program tailored for this gorgeous age group who will program, reflect and prepare opportunities based on your child’s interests and developmental needs. At this age, there is so much happening from a developmental milestone perspective – there is a lot to record, smile about and aid the little ones to achieve their physical milestones. ~ The Playroom also has nappy change facilities. ~ Playroom equipment is interest based and age-appropriate for the 0yrs – 2yrs age group. ~ They have a separate Cot Room equipped with Cots, Blue Beds and Bottle prep. ~ They also have their own small separate shaded outdoor area equipped with removable structures. The Bubba Cubs Educator prepares a Weekly Outdoor Interest-based Program providing varied opportunities in the fresh outdoors for your child. Mama Bear has 2 outdoor areas: one for the Bubba Cubs and one large outdoor area equipped with both fixed and removable structures for the 2yrs – 5yrs ages. The Educators prepare a Weekly Outdoor Interest-based Program providing varied and exciting physically active or quiet opportunities in the fresh outdoors for your child. 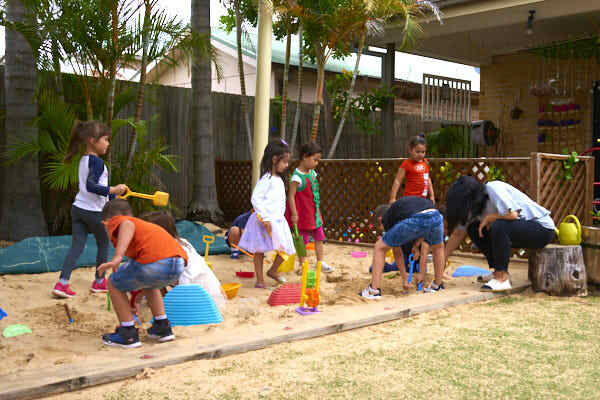 Whilst there are separate outdoor areas and playrooms for the different age groups, during morning drop off and afternoon pick up times, ALL children are together so they can enjoy mixed social play – its important the Bubbas learn to feel safe with older children, and that older children learn to play carefully around the Bubbas. This has proved to be particularly helpful in assisting older children who have new babies in the family, and are struggling to cope with changes to family dynamics. Mama Bear also has a Kitchen with a Cook who provides wholesome, nutritious meals for your children; a Laundry for laundering sheets, blankets and uniform hats; and a Staffroom and Staff Bathroom for the BearTeam. The children’s Washroom is shared between the 2 Playrooms and has nappy change, shower, and toileting facilities.